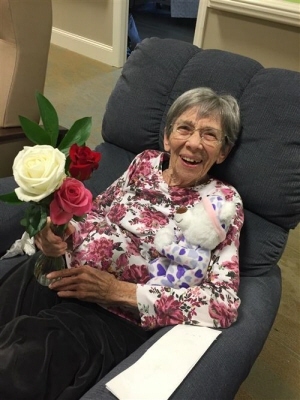 Sue Richardson Geisler, 93 of Russellville, Kentucky, formerly of Lewisburg died on Monday, February 4, 2019, at the Medical Center in Bowling Green, Kentucky. She was born Friday, April 10, 1925 in Owensboro, Kentucky, she was the daughter of the late Dr. W.F. Richardson and the late Latimer Hines Richardson. She was the wife of the late Walt Geisler. She was a member of the Lewisburg United Methodist Church. She had worked for a dentist as a dental hygenist and as a clerk at The Louisville Store, Helen's Dress Shop and Classique in Russellville. Surviving are sister, Jean Grise of Lewisburg, KY and several nieces and nephews. A funeral service will be at 1:00 PM on Thursday at Lewisburg United Methodist Church located at Stacker St. Lewisburg, Kentucky 42256 with Bro. John Posey officiating. Interment will be in Lewisburg Cemetery, Lewisburg, KY. The family will receive friends from 5:00 PM to 8:00 PM on Wednesday, February 6, 2019, at Price Funeral Home, Inc., 252 E. Green St., Lewisburg, Kentucky and again after 11:00 AM Thursday at the Lewisburg United Methodist Church. To plant a tree in memory of Sue Richardson Geisler, please visit our Tribute Store. "Email Address" would like to share the life celebration of Sue Richardson Geisler. Click on the "link" to go to share a favorite memory or leave a condolence message for the family.